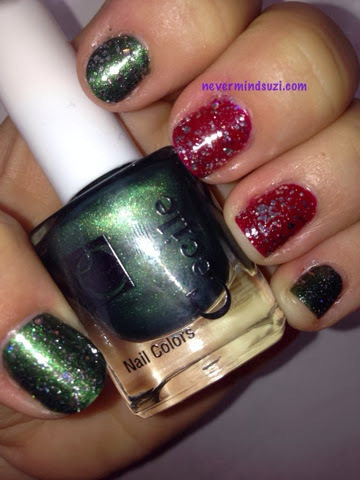 Today's mani is unintentionally festive. See what I mean lol. 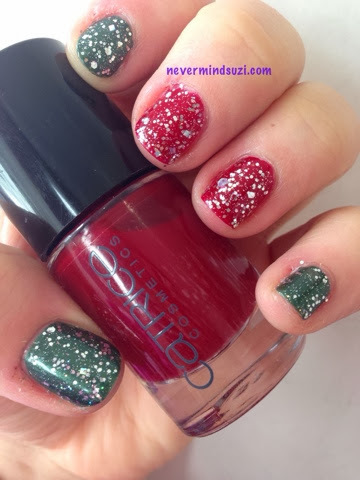 The berry red is Catrice - Caught On The Red Carpet. I love the brushes and the formula of these polishes. The green is an unnamed Cecile green from Turkey, a one-coater! I wish I'd gotten more of these (though I did get a fair few). 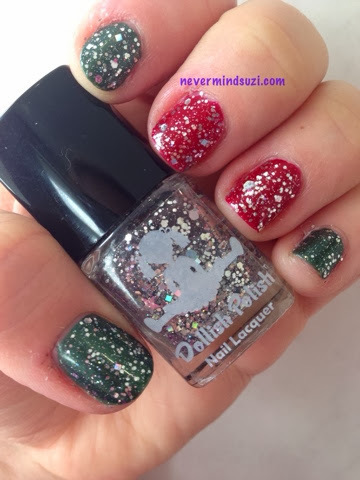 The star of the show is Dollish Polish - Little Miss Know It All. A clear base with silver holographic micro glitters, glitters, small and large hexes and stars. It's so so sparkly! !